To the Greatest Horticultural Show on Earth! « John Bartram Lives! To the Greatest Horticultural Show on Earth! 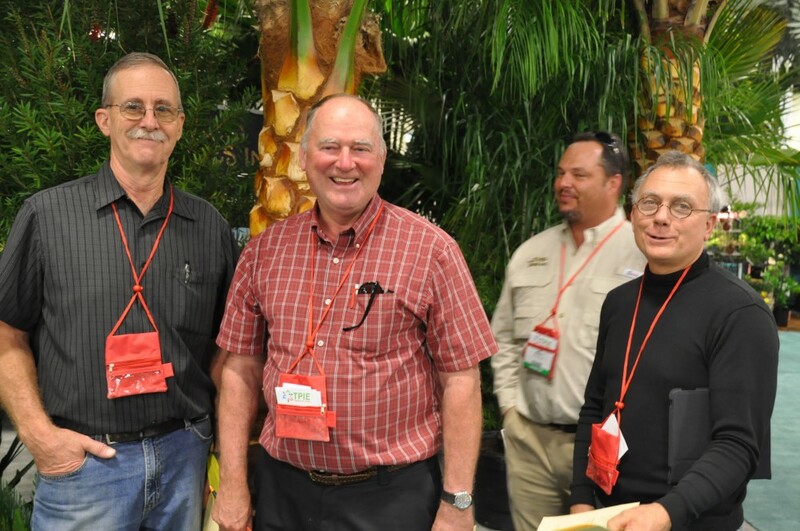 These are the men behind the large commercial displays at the Philadelphia Flower Show: John Story, Jack Blandy, Michael Petrie. I traveled back to Florida on a recent journey of exploration. 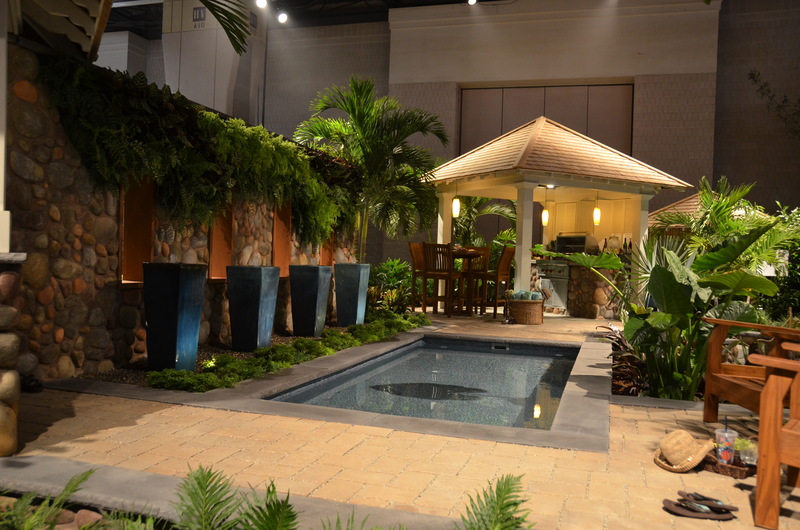 Those who accompanied me were the many designers and fabricators of the horticultural exhibits that were to appear at the upcoming Philadelphia Flower Show. You’ll remember that Philadelphia serves as the home to the oldest annual gathering of horticultural material in a display designed to be pleasing to the masses. 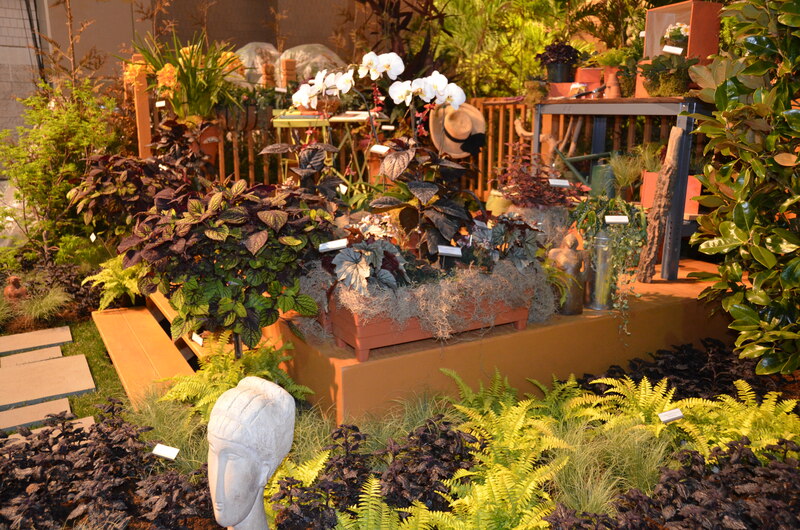 It has become known to one and all as the Philadelphia Flower Show. 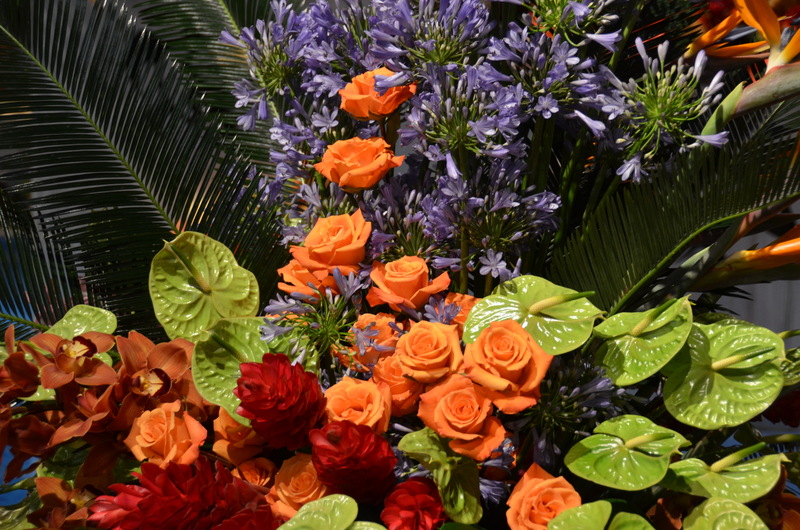 The tropical heat of passionate colors cast a Hawaiian glow over the entire show floor. I now possess an insight into that world of magic and theatrical exuberance. The color, light, attractions, fame, and competition are all compressed into spaces of 50 feet by 50 feet. Or in a 10’ x 20’ that speaks to the smaller access of limited budgets, smaller plant material, or specialized focus. But it is much more than flowers; and much more than just a show. It is a coming together of like-minded people. They celebrate with bounteous esthetic protestations and God’s diversity of botanical material. What a wondrous thing to bring old hearts into young cultivation. 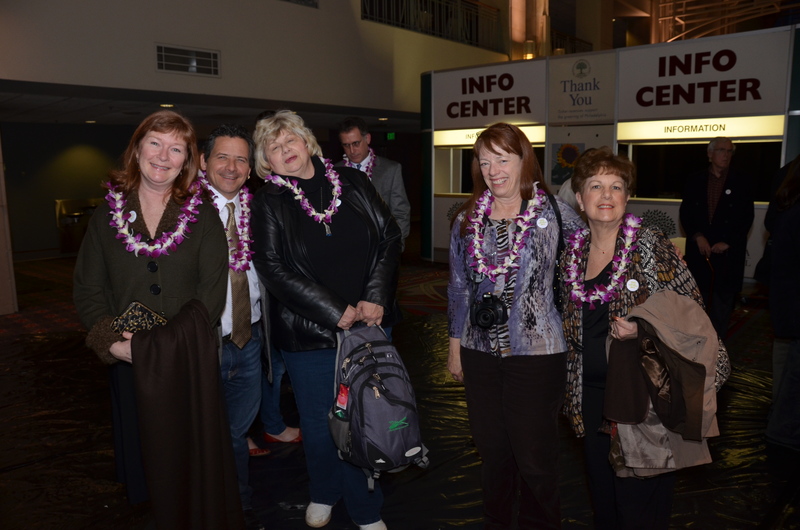 Peggy Anne Montgomery, Dan Benarcik, Denise Schreiber, Marie Mims Butler, and Sara Brown joined fellow Garden Writers on a press tour of the Philadelphia Flower Show before its official opening. Leis were distributed amongst the participants. To become one of the named celebrants on the show floor requires much in commitment, connectional history, quality business systems, and horticultural access. These display designers have all of the requisites. They are an entitled group: legendary in their creativity, passionate in their spirit of community, and driven to succeed in the bleakness of any mid-winter season. 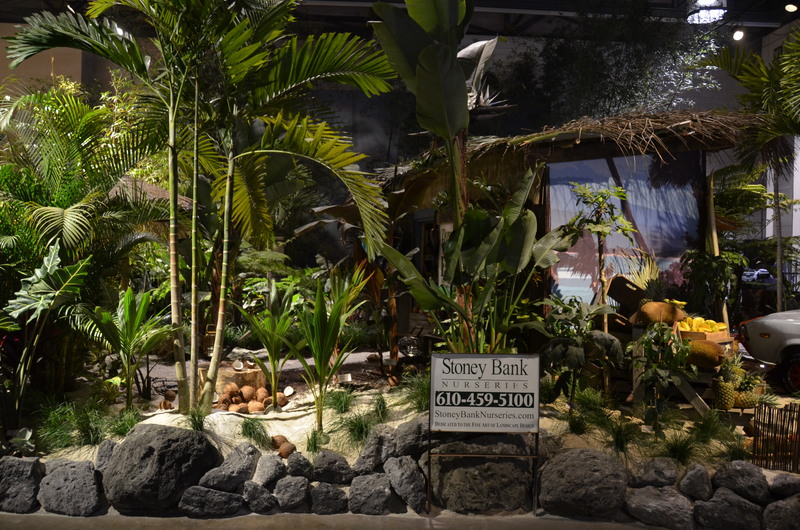 Stoney Bank is one of the major commercial theme display exhibitors. They have been a show-stopping, prize-winning company for many, many years. All of their success lies in the plant material that must be cultured to bloom when it would want to be bare. They force bulbs to majesty out of season. They coax trees to leave, shrubs to flower, water to flow in abundance, and earth to take on the warmth of a summer’s day. The landscapes are installed as they would be seen on a warm day in a tropical climate. It has never been natural. The artificiality of it makes it all more wondrous. It is not sustainable. But the transience of the view makes it all the more miraculous. The show floor has become a stage and these designers are true masters of the technique. Their sets are the stuff on which winters dreams are cast. Orchids against a volcanic mountain are like tropical smiles on a warm summer's night. And the audience suspends their disbelief and comes to the scene in awe and amazement. They want to believe that man’s artifice can transcend God’s laws. And I believe that even God smiles. This is a celebration that he has ordered. Our revels worship at the foot of his creation. These designers have become servants to God’s nature and therefore masters of this universe. They pleasure themselves at the same time they work against all that is easy, or timely, or natural. 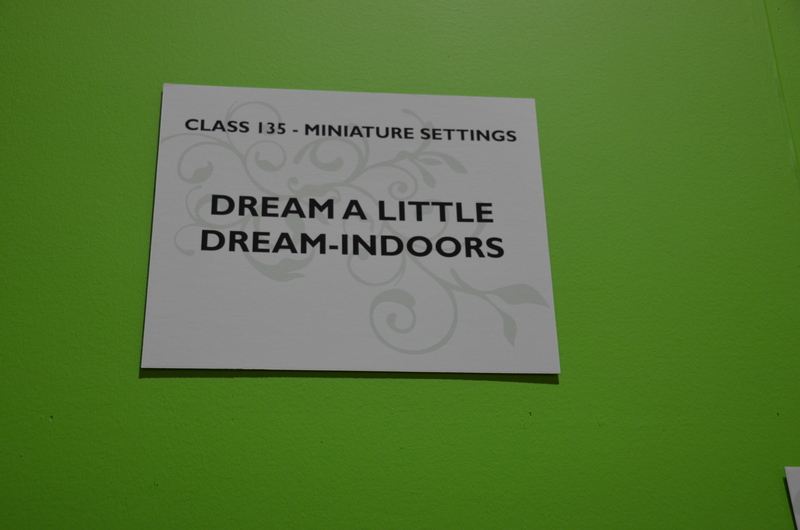 All of the exhibits on the show floor extend just another invitation to dream a little dream--indoors! I love them for their creation. I am given a sense of well-being and grace by their witness. I work enough every year to attend yet one more time. 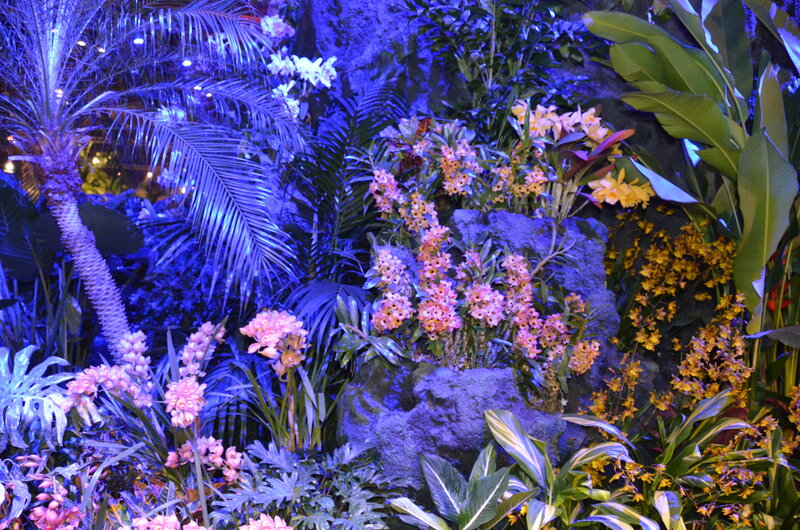 This “Philadelphia Flower Show” is a display that demonstrates the power of nature. It calls loudly to us to come and worship. Put me into the scene of this cabana and lap pool and I will be a very happy man...dreaming of the days in the tropics.